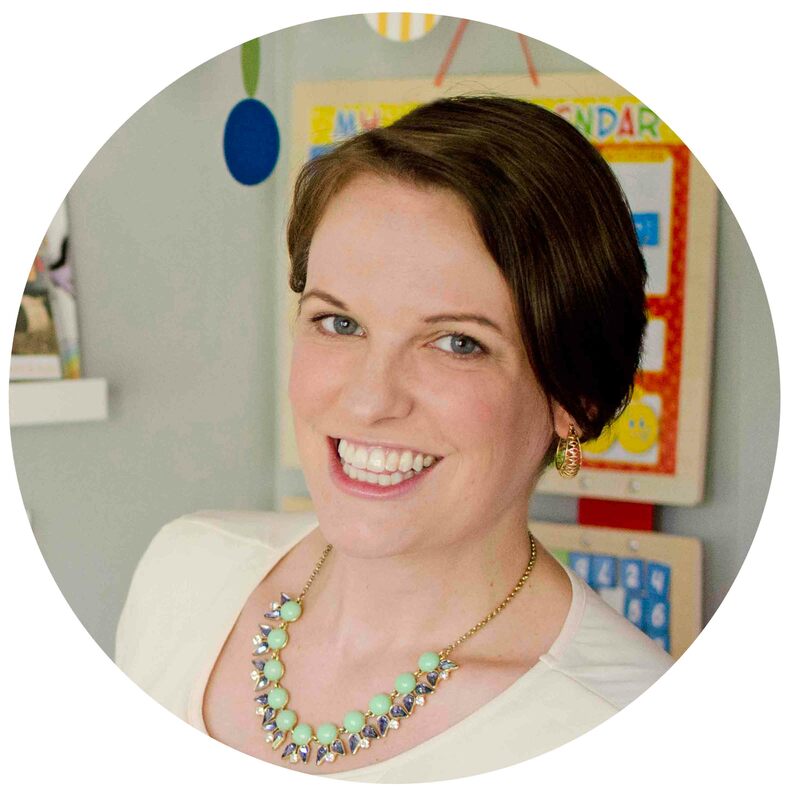 I have a magical, mom-life-changing toddler activity. 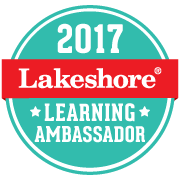 An activity so amazing you need to make it today. This toddler activity not only lets you sit on the couch with your feet up but wears your toddler out. I’m not overselling. I’m not over hyping it. 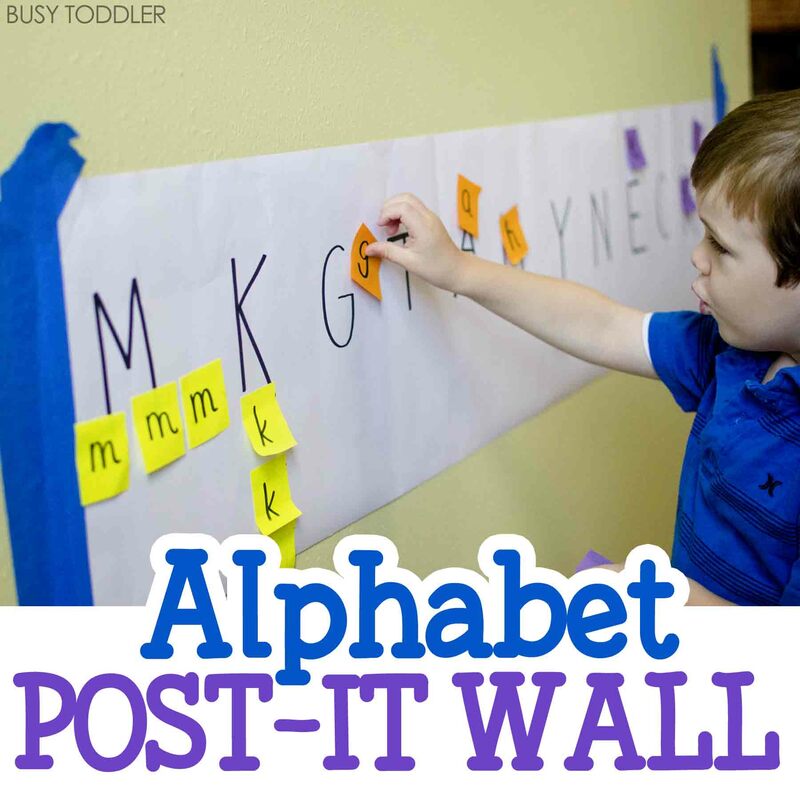 This alphabet find toddler activity is the stuff activity dreams are made of. 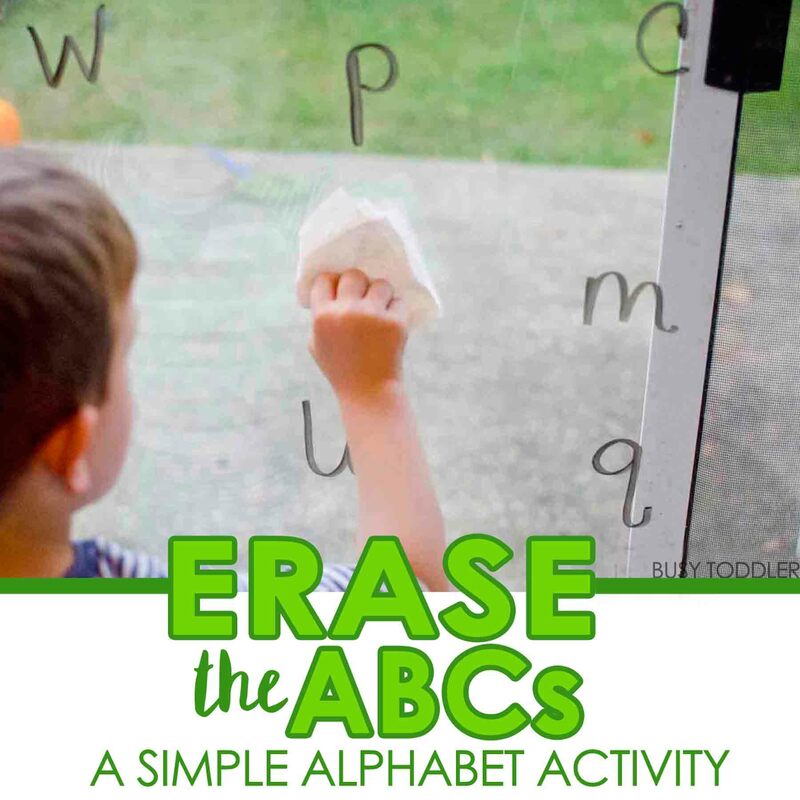 Love ABC activities as much as I do? Check out the ebook I co-authored, ABCs and 123s, filled with 40 alphabet and math activities. 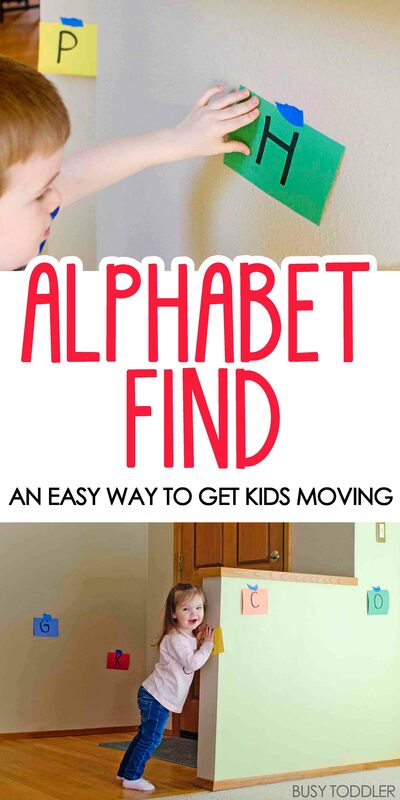 You need this alphabet find activity in your life. Ever need a mom sick day? Ever tried to feed a baby with a toddler around? Ever just needed a minute to sit and drink your coffee without having to microwave it first? This is the activity for you. 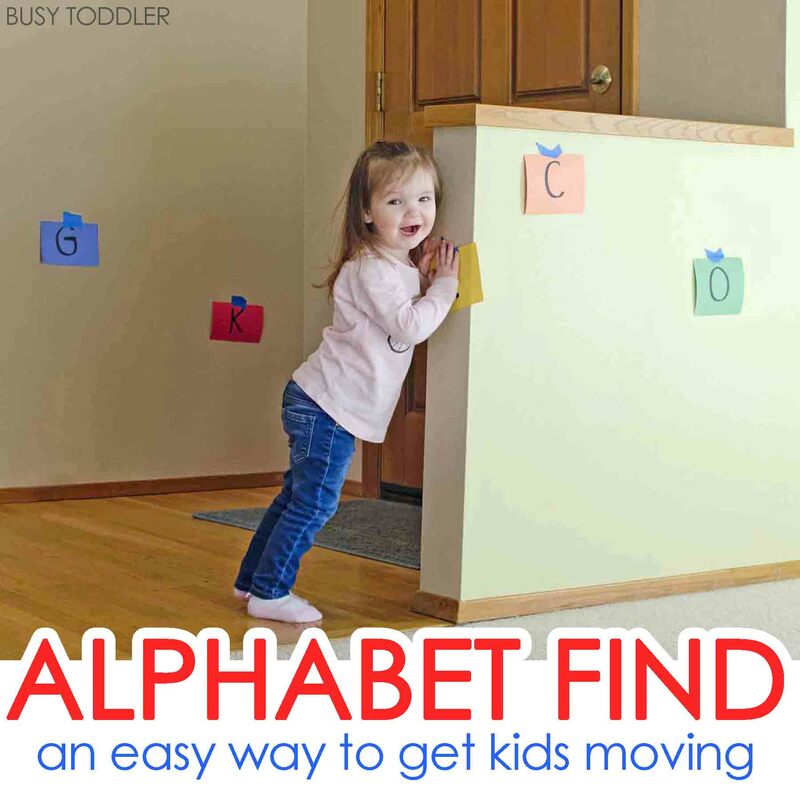 And I’m going to get you so excited about this activity, you’ll be like a toddler…a toddler playing alphabet find. I know that was an extensive materials list and you can’t believe it (joking, kidding, sarcasm). This activity is the best. You’ll see. A year later and this is still his favorite activity. 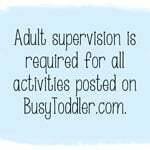 Sorry other easy toddler activities. Sam has picked a favorite. 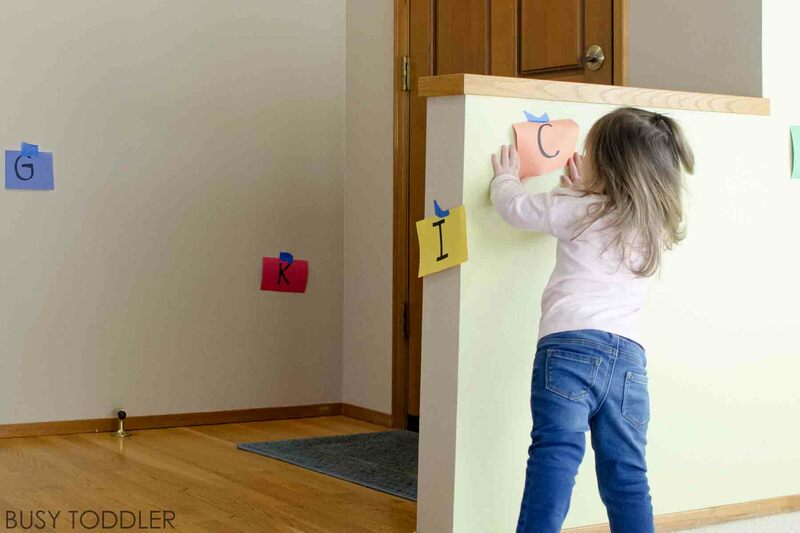 Cut your construction paper in half and write a single letter on each one. 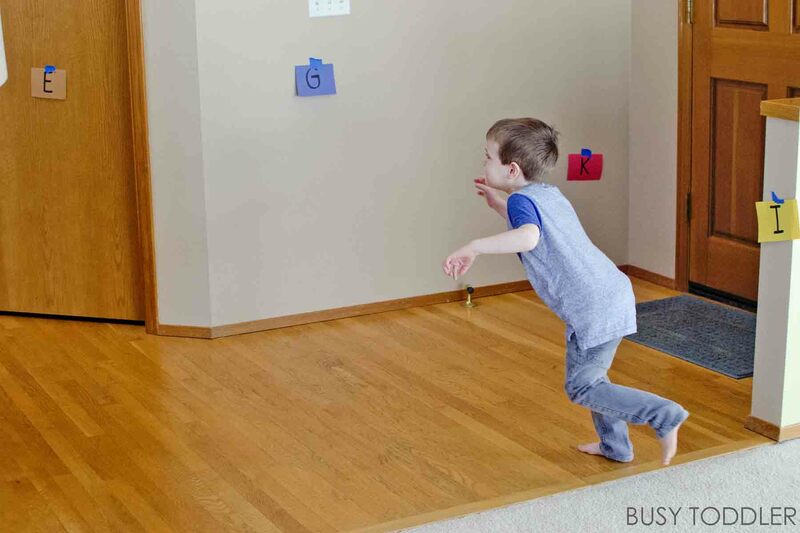 Walk around your house taping them to the walls in random order. Make sure to spread them out. Mix them up. And hang them at toddler eye level. Now go grab your hot coffee and park your bootie on the couch. It’s time to play. All you do is call out the letters. Then they race around the house to find it. Touch the letter. Then race back to you. I KNOW. THAT’S IT. It’s just that simple but it’s just that brilliant. But actually that’s not JUST it. There are a million ways to vary this and change it up for your kids. Send them hunting for sounds. Not ready for letters? 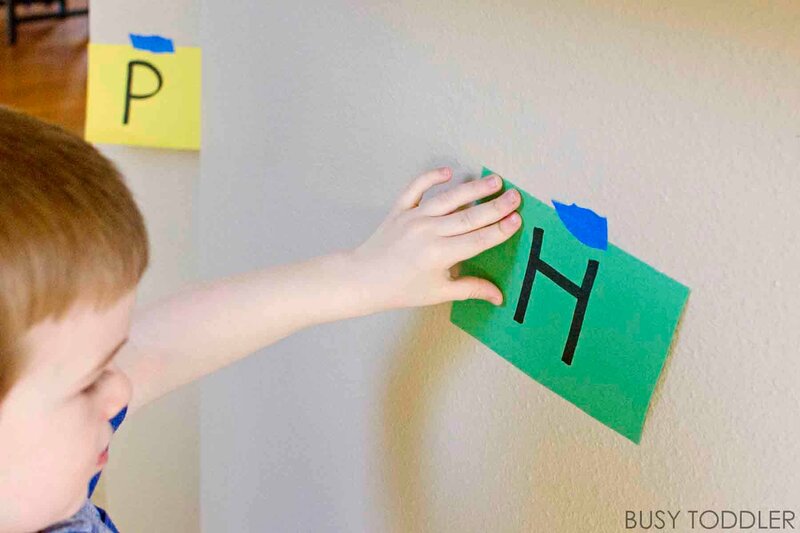 Try blank colored paper and send them on a color hunt. Make them hop, skip, or jump to the letter. Let them run laps, tapping the letters and shouting them out. 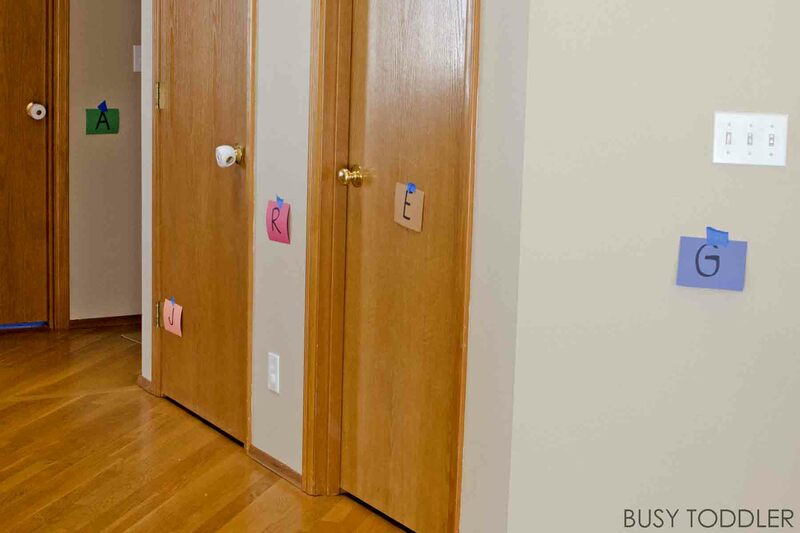 Turn the lights off at night for a night time letter hunt. This activity worked perfectly, simultaneously for my 3.5 year old and my 25 month old. AND big brother got a kick out of calling letters out for his little sister. And they ran themselves ragged and out of gas racing around our downstairs for 20 minutes finding letters. This just doesn’t get old to them. I left this up for a week and every day was a new adventure with their alphabet find. They were hooked in deep with this activity and I was loving every minute of my hot coffee. It’s a magical activity. Will you find the magic at your place? LOVE this one! Trying it now, as I my coffee is just about finished brewing.